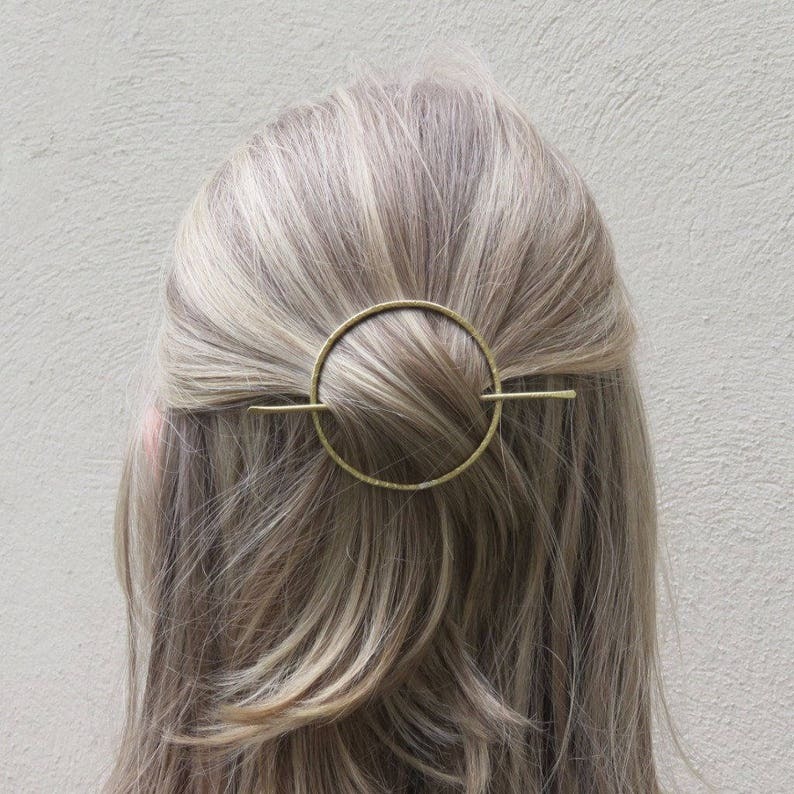 Crafted entirely by hand, this Gold Circle Hair Slide offers a super easy, non-tangle way to tie your hair back. Perfect for day and evening wear this stunning, minimalist hair slide will hold both thick and fine tresses in place. Simply place the circle over the section of hair that you wish to tie back then, slide the hairpin through the circle. This accessory is also great for pinning hair into a bun. Go to our ‘About’ section to watch our How to Use Video. UK- This item will be posted 1st Class Signed For Via the Royal Mail. Europe & International - Tracked and Signed. Need help or have a question, please feel free to send me a message. All items are wrapped in luxury tissue paper and sent in a complimentary cotton gift pouch. Perfect, thank you so much! I wear it everyday and get so many compliments.